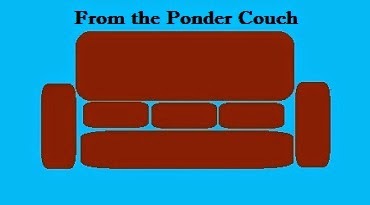 From the Ponder Couch: 2 New Songs! "A Better Day" and "*You're"! A couple new sethifus songs! One about seeing someone you don't wanna see. And a love song in the vein of Charles Addams (the Addams Family). I'm trying to write a few more songs. Partially because I want to enter the Tiny Desk Contest again this year, but I only have until the end of the month. But also because I'm putting the finishing touches on a new album! Most of the songs are the ones I wrote during 2016, but the last four or five will be from 2017. Hopefully 14 songs in all. We'll see. Yay! Another album of original songs that no one, and I mean NO ONE, will buy or care about!